Eye Candy. It was the way I described San Francisco, the first time I was there. 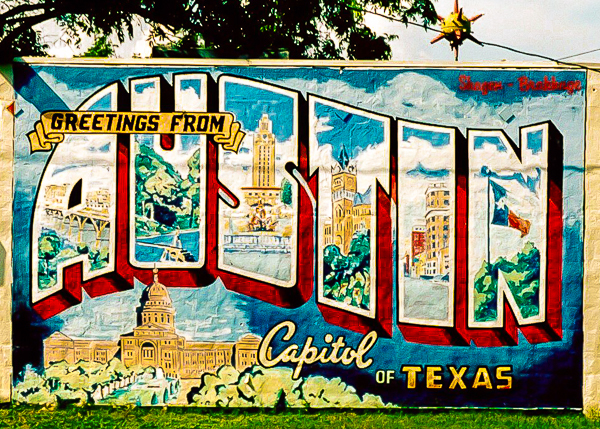 Later, it was my vision of Austin, the first time I visited, and ever after since living here. Eye Candy is everywhere, though. It’s especially evident when shopping online, at an Apple Store, in a finely-tuned art gallery called Abacus in Freeport, Maine. It’s free for the perusing on design-oriented sites like Beautiful Decay, Sight Unseen, Design Milk. I collect it, like memories, like digital photos, like sea glass on an island shore, and it’s harmless and thrilling and inspiring all at once. It’s what flows the creative juices. It’s what makes me want to be an artist, a photographer, a painter, a designer, any creative spirit I can imagine myself becoming. What are your favorite go-to spots for stoking up your Eye Candy engine?